The world was on the verge of death. To protect the land rose fairy people, dwarves, elven mages, hunters, demons, and all those who care about the fate of these lands. Dozens of big campaigns, network cards, editors, fully interactive three-dimensional world with cities, castles, palaces, forests and valleys, a large number of various units, various weapons and spells, you can fight a war of different warring races. This real-time strategy, which was originally designed as a clone of Dune 2, quickly attracted the attention of the public and won a place of honor on the Blizzard game Olympus. The game's plot is plain. Human kingdom of Azeroth (Azeroth) is expanding its own and comes up against the orcs a little less intelligent race, which compensates for this lack of increased aggressiveness. Bloody war breaks out, and you decide who will win this conflict. Six years have passed since the war ended between humans and orcs. And while the magician Medivh, who betrayed his people orc invasion in the name of gaining power and authority, was killed, people had to leave Azeroth and move beyond the sea, the kingdom of Lordaeron. But the bloodthirsty orcs were not satisfied with the destruction of the beautiful Stormwind Keep (the capital of Azeroth) and by building an armada of warships, they decided to prosecute people. The second bloody war between orc Horde (The Horde) and the Alliance of people (The Alliance) over the last unconditional victory. Warriors of the Horde were destroyed, scattered on the outskirts of the Kingdom of Lordaeron or superseded for the Dark Portal (The Dark Portal). Archmage Khadgar destroyed the portal, but as it turned out, did not pass between the measurements of the human world and the world Draenor. On the other side of the portal at the orc has a new leader, magician Ner'Zhul (the one that will be The Lich King in the third part of WarCraft). It was he who began to hatch plans to open new gates between the worlds. To implement them, he needs two artifact: The Skull of Gul'dan and The Book of Medivh. But then, as Ner'Zhul revives the Horde for a new war, Khadgar gathers force for order, that would forever destroy the relationship of measurements. Under the banner of the great heroes rise archmage Alliance. 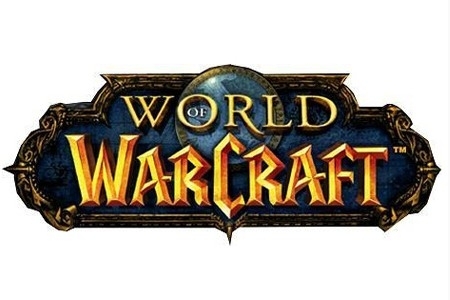 Unlike previous games in the series, the number of warring parties has increased from two to four: you can play for the already well-known Alliance and the Horde, as well as two new races - Undead and Night Elf. However, the overall gameplay has not changed - the player must also get all the resources, build bases and recruit troops, so that would destroy the enemy. Innovation is the characters - a unique warriors with special abilities, and which may gain experience by killing enemy soldiers. Tired of waiting Warcraft 3, then craftsmen from an unknown Ukrainian studio GSC Game World have decided to forge a fortune with his own hands and gave birth to such "creative adaptation" of the original Warcraft 2, which, in addition to the orcs and humans, include examples of modern weapons, nuclear bombs and alieny in flying saucers, and blizzardovskaya graphics and code underwent major changes. This results in a wild medley, in which bringing to mind the authors had neither the strength nor the means, and they moved on to develop the now famous "Cossacks." You would not want to play Warcraft for a long time 2000, but look at the game worth it, in order to evaluate the possibility of Slavic craftsmen. - Operating system: Windows ® 98/2000/XP/Vista/7. - Processor: 800 MHz or equivalent. download WarCraft: Antology 5in1 ( 2003/Rus/Eng) full version pc game | Play WarCraft: Antology 5in1 ( 2003/Rus/Eng) Online | free WarCraft: Antology 5in1 ( 2003/Rus/Eng) Play | WarCraft: Antology 5in1 ( 2003/Rus/Eng) System Requirements | WarCraft: Antology 5in1 ( 2003/Rus/Eng) demo download | WarCraft: Antology 5in1 ( 2003/Rus/Eng) Compressed | WarCraft: Antology 5in1 ( 2003/Rus/Eng) Ripped | WarCraft: Antology 5in1 ( 2003/Rus/Eng) Online | WarCraft: Antology 5in1 ( 2003/Rus/Eng) gameplay| WarCraft: Antology 5in1 ( 2003/Rus/Eng) Trailer| WarCraft: Antology 5in1 ( 2003/Rus/Eng) Full version download|How to download Vesuvia [FINAL] Download best pc games-full version pc games Free Full Version PC Games Download, tips and tricks for Top PC gamers for free unlimited how to download full version PC games list. Updated online full version PC games and reviews, Strategy, RPG. No registration needed.DOWNLOAD PC GAMES RAPID SHARE LINKS RS LINS FREE. Vesuvia [FINAL] Free pc game | WarCraft: Antology 5in1 ( 2003/Rus/Eng) Patch Nocd| WarCraft: Antology 5in1 ( 2003/Rus/Eng) Crack| WarCraft: Antology 5in1 ( 2003/Rus/Eng) Serial| WarCraft: Antology 5in1 ( 2003/Rus/Eng) Keygen| WarCraft: Antology 5in1 ( 2003/Rus/Eng) megaupload| WarCraft: Antology 5in1 ( 2003/Rus/Eng) rapidshare links| WarCraft: Antology 5in1 ( 2003/Rus/Eng) cd key| WarCraft: Antology 5in1 ( 2003/Rus/Eng) United States| WarCraft: Antology 5in1 ( 2003/Rus/Eng) canada| WarCraft: Antology 5in1 ( 2003/Rus/Eng) US| WarCraft: Antology 5in1 ( 2003/Rus/Eng) Game Cheats| WarCraft: Antology 5in1 ( 2003/Rus/Eng) Computer Game| WarCraft: Antology 5in1 ( 2003/Rus/Eng) multiplayer key code|Free downloadable WarCraft: Antology 5in1 ( 2003/Rus/Eng) game|Download WarCraft: Antology 5in1 ( 2003/Rus/Eng) demo| WarCraft: Antology 5in1 ( 2003/Rus/Eng) PSP| WarCraft: Antology 5in1 ( 2003/Rus/Eng) mediafire links | WarCraft: Antology 5in1 ( 2003/Rus/Eng) Hardware requirements| WarCraft: Antology 5in1 ( 2003/Rus/Eng) pc shkarko lojra falas| WarCraft: Antology 5in1 ( 2003/Rus/Eng) ????????? PC ???? ?????? ?| WarCraft: Antology 5in1 ( 2003/Rus/Eng) descarregar jocs gratuïts pc| WarCraft: Antology 5in1 ( 2003/Rus/Eng) besplatni pc igre download| WarCraft: Antology 5in1 ( 2003/Rus/Eng) PC hry zdarma ke stažení| WarCraft: Antology 5in1 ( 2003/Rus/Eng) gratis pc-spil download| WarCraft: Antology 5in1 ( 2003/Rus/Eng) Gratis pc games downloaden| WarCraft: Antology 5in1 ( 2003/Rus/Eng) tasuta arvuti mänge laadida| WarCraft: Antology 5in1 ( 2003/Rus/Eng) laro download| WarCraft: Antology 5in1 ( 2003/Rus/Eng) Vapaa PC-pelit Lataa| WarCraft: Antology 5in1 ( 2003/Rus/Eng) télécharger gratuitement des jeux pc| WarCraft: Antology 5in1 ( 2003/Rus/Eng) PC xogos download gratuito| WarCraft: Antology 5in1 ( 2003/Rus/Eng) PC-Spiele kostenlos herunterladen| WarCraft: Antology 5in1 ( 2003/Rus/Eng) ingyenes számítógépes játékokat letölteni| WarCraft: Antology 5in1 ( 2003/Rus/Eng) PC Games download gratuito| WarCraft: Antology 5in1 ( 2003/Rus/Eng) bezplatne pobieranie| WarCraft: Antology 5in1 ( 2003/Rus/Eng) jogos download gratuito| WarCraft: Antology 5in1 ( 2003/Rus/Eng) ????????? ???????????? ???? ?????? ?| WarCraft: Antology 5in1 ( 2003/Rus/Eng) ????????? ?? ???? ??????? ?| WarCraft: Antology 5in1 ( 2003/Rus/Eng) hry zadarmo k stiahnutiu| WarCraft: Antology 5in1 ( 2003/Rus/Eng) descargar juegos gratis pc| WarCraft: Antology 5in1 ( 2003/Rus/Eng) ücretsiz bilgisayar oyunlari indirme| WarCraft: Antology 5in1 ( 2003/Rus/Eng) ??????????? ????'?????? ???? ?????????? ?| Vesuvia [FINAL] Free PC Games Download -Download best pc games-full version pc games Free Full Version PC Games Download, tips and tricks for Top PC gamers for free unlimited how to download full version PC games list. Updated online full version PC games and reviews, Strategy, RPG. No registration needed.DOWNLOAD PC GAMES RAPID SHARE LINKS RS LINS FREE.Full Version PC Games - Direct Download Games: Vesuvia [FINAL] pc trò choi mi?n phí t?i v? . .